Finnish architect and designer Alvar Aalto (1898-1976) was not only known internationally for his architecture, but also for his seemingly simple and elegant furniture pieces. In designing buildings, he believed that each building should be treated like “a complete work of art – right down to the furniture and light fittings”. Aalto formed Artek in 1935 to manufacture his furniture, rooted in high quality design and natural materials. Aalto believed that a positive effect happens when “skin comes into contact with natural materials”. 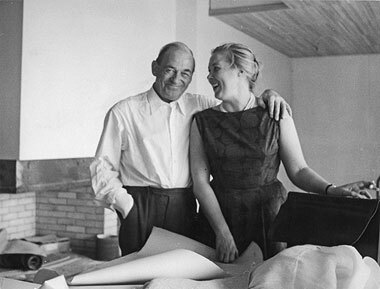 What I love about the work of Alvar Aalto is that it has a functional as well as a sculptural quality to it that is holistic in its overall nature (the design of the building, spaces and furniture).